GRAYSLAKE, Waukegan AND ROUND LAKE, ILLINOIS – If you’re going through orthodontic treatment, it means you have made a considerable investment of your time and money in your oral health. Protect that investment by practicing good oral hygiene with the right tools throughout treatment. GRAYSLAKE, ILLINOIS – May is National Family Wellness Month. A big component of health and wellness is oral heath. 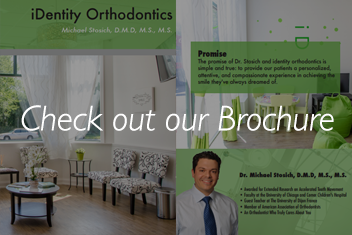 This month, Dr. Michael Stosich, an adult orthodontist and Wilmette orthodontics expert, urges families to take a closer look at their oral health routines. 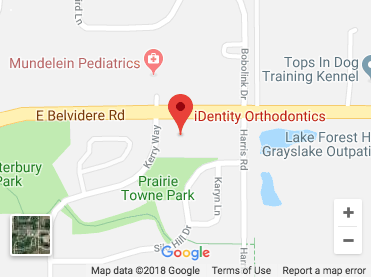 ROUND LAKE, GRAYSLAKE AND GURNEE, ILLINOIS – The end of your orthodontic treatment has finally arrived. The next step is getting fitted for a retainer. 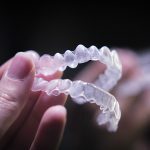 Retainers are more common than you may think. After the braces come off, many people wear a retainer until their teeth have settled. However, many kids and adults wear retainers for other reasons. GURNEE, GRAYSLAKE AND ROUND LAKE, ILLINOIS – National Facial Protection Month is observed by many dental professionals in April. This national month-long event is sponsored by the American Association of Oral and Maxillofacial Surgeons, the American Academy of Pediatric Dentistry and the American Association of Orthodontists. The food that you choose for your children not only affects their bodies, it can also affect their teeth. Many dental professionals are concerned with the levels of sugar their patients consume. 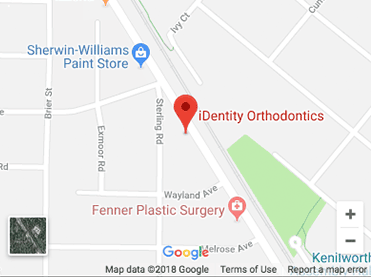 KENILWORTH AND WILMETTE, ILLINOIS – If you see that your child is suffering from an underbite, call for an orthodontic consultation as soon as possible. 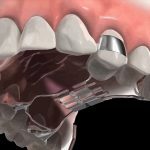 An underbite is a noticeable dental problem, and early intervention is key to correcting the issue without a surgical route. 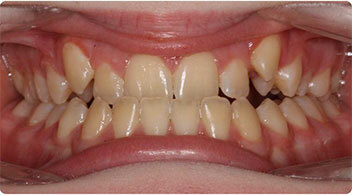 This Class III malocclusion happens when the lower jaw protrudes out over the upper teeth when biting. 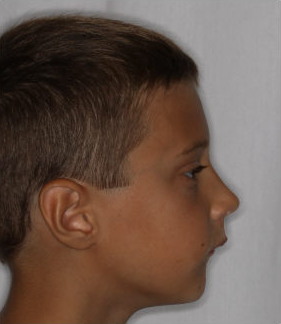 KENILWORTH AND Skokie, ILLINOIS – Protruding teeth can create many problems for you or your child. Correcting them as soon as possible can alleviate difficulties down the road. Teeth that stick out are more prone to injury and trauma, especially during contact sports. Also, the teeth may wear unevenly, due to their positioning. Smile and the whole world smiles with you! As powerful and easy as a smile is, sometimes the way we feel about ourselves and our appearance make it difficult to complete this powerful action. There are actual psychological benefits to smiling, and by not believing that you have a good smile, it can adversely affect the mental well being of an individual. It can make you want to keep to yourself and become highly self-conscious. On the other hand, having a good smile can add to the personality of an individual. 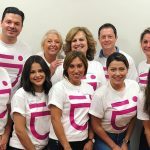 GURNEE, WAUKEGAN AND GRAYSLAKE, ILLINOIS – “This month we are celebrating National Children’s Dental Health Month”, says the Grayslake adult orthodontist, Dr. Michael Stosich. Each year the American Dental Association sponsors this event to raise awareness about the importance of oral health. The 2012 NCDHM theme is “Rock Your Smile”. People have been brushing their teeth for thousands of years. In fact, the first “toothbrush” was created around 3000BC. Studies show that ancient civilizations used a thin twig with a frayed edge to rub against their teeth for cleaning. Luckily for us, in today’s society we have advanced a lot from that twig! 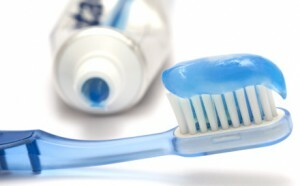 Brushing and flossing properly, along with regular dental checkups, can help prevent tooth decay and gum disease.